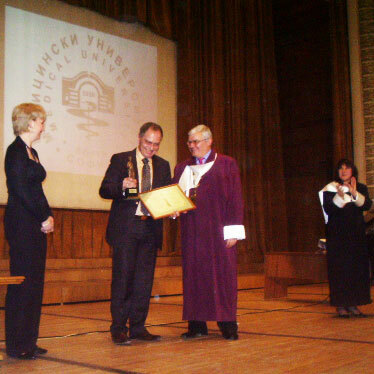 Winner of the award "Prof. Konstantin Chilov" for 2009. Winner of the award “Panacea” for 2009. Winner of the award "Prof. Konstantin Chilov" for 2005. Winner of the badge of honor “Bulgarian physician” for 2004. Winner of the honor medal for 90 years of Medical faculty of Sofia.